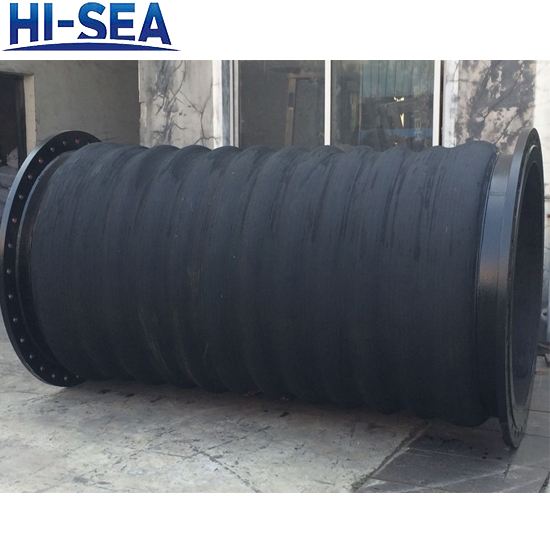 DN350 dredge suction rubber hose is installed between the mud pump and the cutter of the dredge to withstand the negative working pressure and suction the slurry. 2.Durable and flexible to use. 3.Easy installation, Excellent abrasion-resistant and bending -resistant. 1.Inner rubber:black abrasion resistant natural rubber. 2.Reinforcement layer:multiple plies of polyester fabric with a spring steel helix wire. 3.Cover rubber:neoprene or composed of natural rubber and synthetic rubber.